Chocolat is a contemporary table with an unusual geometrical shape. 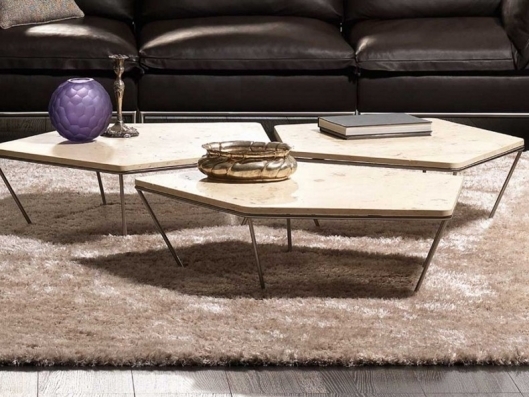 The use of precious materials, such as stone and marble, reflects the latest trends in the furnishing sector. The coffee-tables may be combined to create a larger table. All the surfaces proposed have been water-proofed and stain-proofed. smoked ash with pewter-finish steel structure.